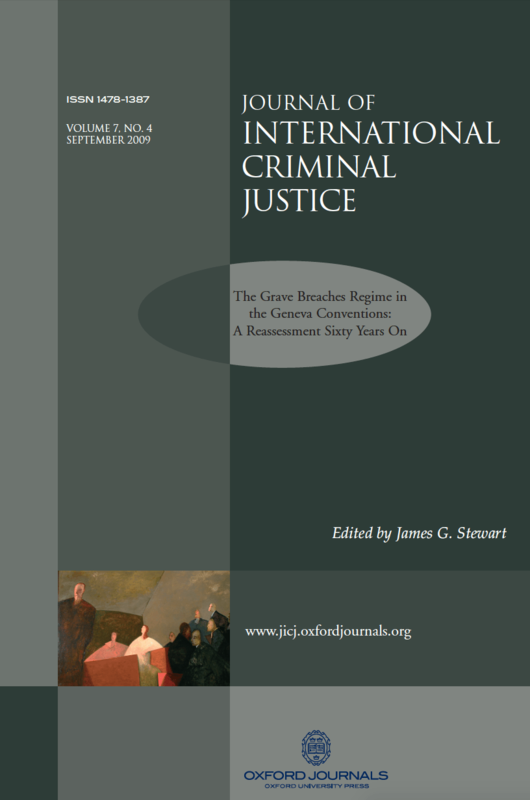 James G. Stewart (ed) The Grave Breaches Regime in the Geneva Convention: A Reassessment Sixty Years On Journal of International Criminal Justice, Vol. 7(4) 2009 (peer reviewed). This Article appears in an edited volume involving leading commentary on the grave breaches regime of the Geneva Conventions. I argue that there are three possible futures for the grave breaches regime: (a) continued segregation from other categories of war crimes in deference to the historical development of these crimes; (b) assimilation with other categories of war crimes, ideally through the promulgation of a more coherent treaty regime; and (c) abandonment because grave breaches entail troublesome technicalities with only marginal substantive added-value. I conclude that these war crimes will persist in a tension between these poles.